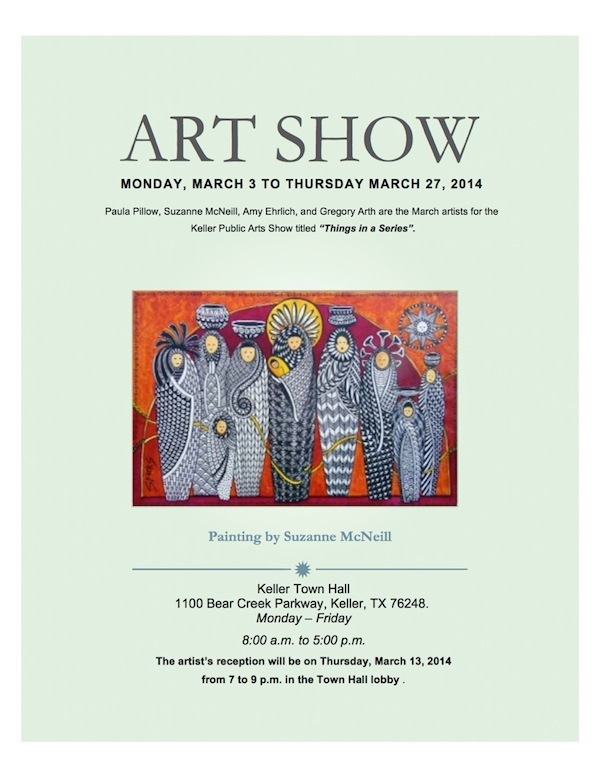 I just wanted to send a quick note to let interested Tanglers know about an Art Show here in Texas. We’d love to see you at the show or at the Sparks Studio gallery. View a YouTube, add some tangles to cute little wooden bird forms. I found these fabulous flat bird forms with wire legs at my local craft store and thought they were perfect for accessorizing a table or giving as a gift. 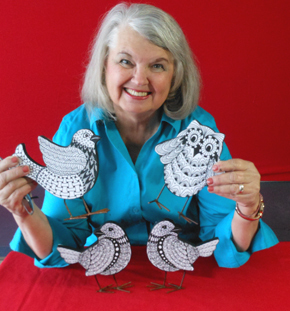 Speaking of birds a little bird told me Zentangle® has been in the news recently. Sherida Warner of The Daily Sentinel in Grand Junction, CO wrote a wonderful article featuring quilter and Certified Zentangle Teachers Nancy Smith, Judith McCabe, Bonnie Browning,“the quilted tangler”, and myself in an article titled “Zentangle Art Zooms into the Mainstream Consciousness”. 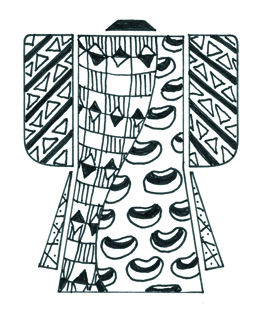 Zentangle has come a long way!! In February I gave a demonstration to the Granbury Arts Association on Gelli Plate printing… one of my newest obsessions. I love using my prints for journal pages, greeting cards, mixed media art and fabrics. Jeanette Alexander of The Hood County News wrote a lovely article about the Gelli printing process as well as mentioning my love for Zentangle. My married name is Sparks – the new studio I opened is Sparks Creative Arts Studio so… I love the title of the article… “She’s Like a Spark Plug” makes me sound so exciting!! 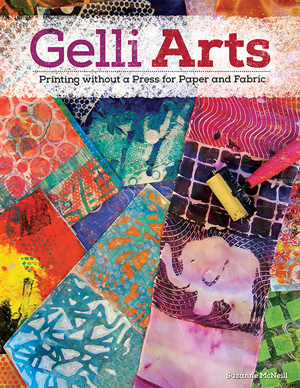 My newest book, due out in May, is ‘Gelli Arts’. Half of the book is devoted to instruction and processes using the Gelli plate, the other half is a gallery of ideas by guest artists. The projects include some wonderful ways to incorporate Gelli prints into paintings, ways to use them in your quilting, as well as how to make your own totes and bags, and many other fun ideas. 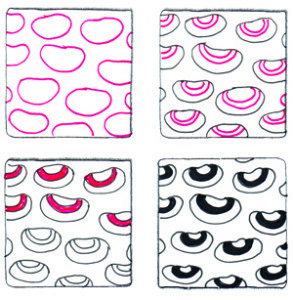 Nancy Smith has some wonderful videos on Quilters Newsletter TV. 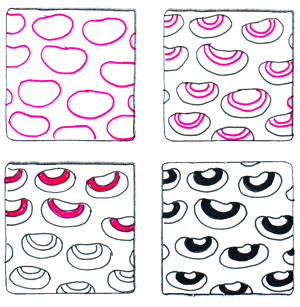 She demonstrates how to make quilted Zentangle art cards as well as pillows, the videos are free and can be accessed any time. Nancy is also co-hosting a fabulous Quilting tour in Italy “Tangling in Tuscany”. I have always loved traveling, and mixing travel with art is my absolute favorite way to go. Imagine taking one of these luxurious trips and learning from some of the best.